Chickns catch a cold. This one was terribly bad. Having high fever and nose stopped up, I had to breathe by mouth. And quite often I sneezed...Ah, you can watch a video of my sneezing. I couldn't sleep at night having a high fever, and was taken to hospital. 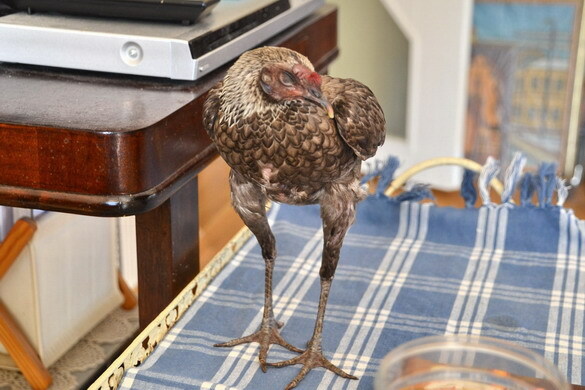 I had to continue to take antibiotics for birds afterwards for one week. A Terrible Cold It was! The nose became OK and fever went down in a couple of days. It was a terrible cold, indeed. To tell the truth, chickens easily catch a cold. 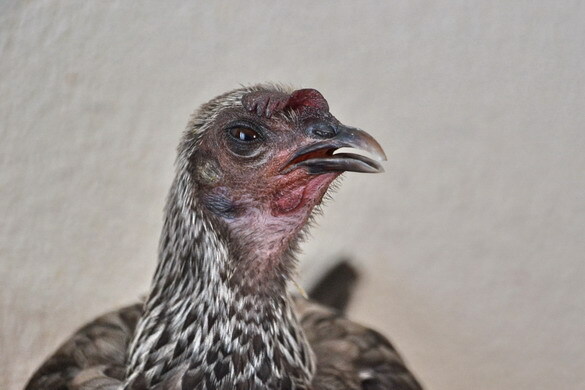 Chickens constitionally suffer often from bronchitis, and might die if out of luck. 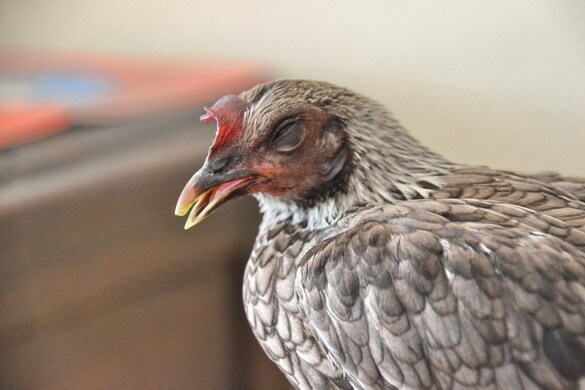 You can watch a video of my sneezing here→"Chicken Sneezes and Suffers from Cold"
As you may have read on chidkens' flu in the papers, chickens catch a cold as well. Their symptoms are the same as ours, i.e. with nose stopped up and sneezing. And if they catch a cold, they easily may suffer form respiratory diseases, and many die of bronchitis.